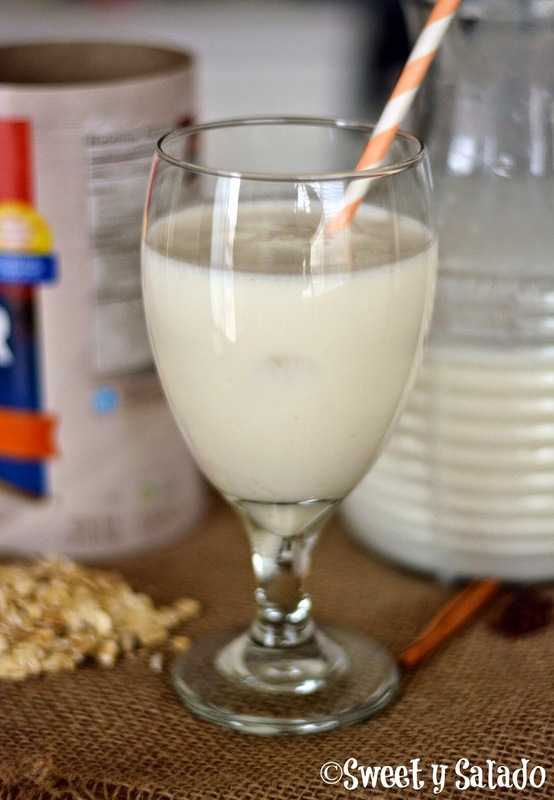 The Colombian avena is another drink that took a while for me to actually like. I couldn’t bare the sight of it as a child because I hated that cinnamon flavor it had, which I now think is delicious as an adult. On top of that, it was one of those things that my mom always tried to get me to eat because it was healthy, so that made me not want to drink it even more. Now that I’m all grown up, I decided to give it another try, but only if I made it at home so that way I knew exactly what was in it. 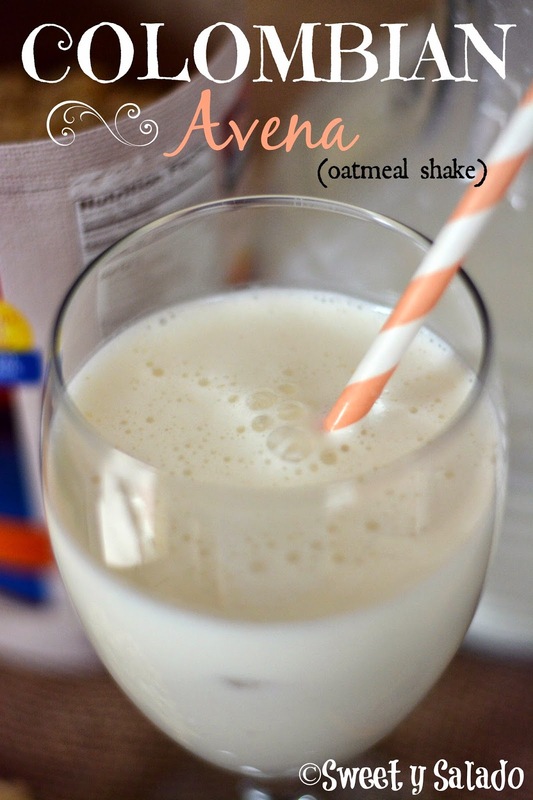 And I can’t tell you how much I loved it, so much so that it’s now one of my favorite smoothies, and I like to call it a smoothie because of the thick consistency it gets from the oatmeal. I’m pretty sure that most of you will be able to find all the ingredients you’ll need to make, no matter where you live, so, let’s get to it! Place the oats, water, cinnamon, cloves, sugar and salt in a large pot and bring to a boil on medium heat. Add the milk, bring to a boil once more on medium heat. Cover, lower heat to low and simmer for about 10-15 minutes. Pour the oatmeal mixture into a jar or container, let it cool completely, cover and refrigerate for at least 3 hours. Strain the mixture through a sieve to remove the cinnamon sticks and whole cloves, place the mixture in a blender and blend for a few minutes until you get a smooth consistency. 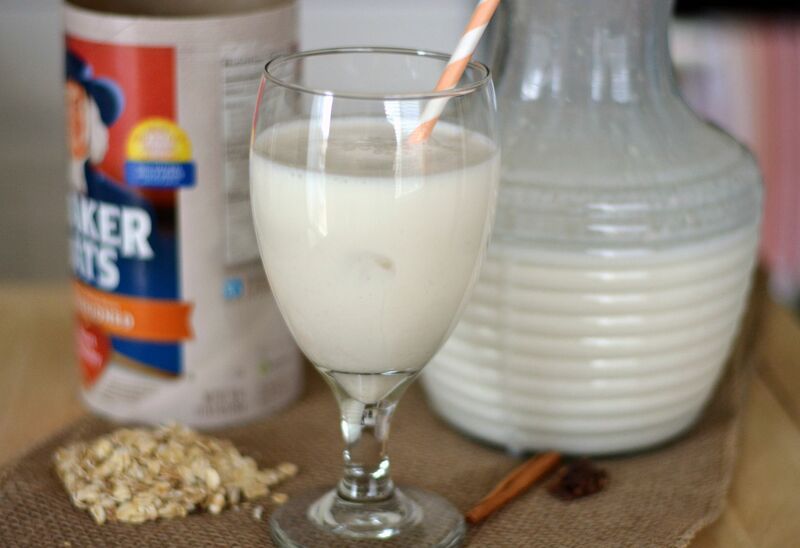 Taste the oatmeal to see if it needs more sugar, you can also add more milk if you want it to have a thinner consistency. Hi Veronica, the only difference is the cooking time. Instant oatmeal should be ready in about 5 minutes or so, instead of 15. Personally, I don’t mind the taste of Green energy drinks mixed just with water. I feel that the benefits far outweigh any taste issues for me, but I know that this might not be the case with everyone.